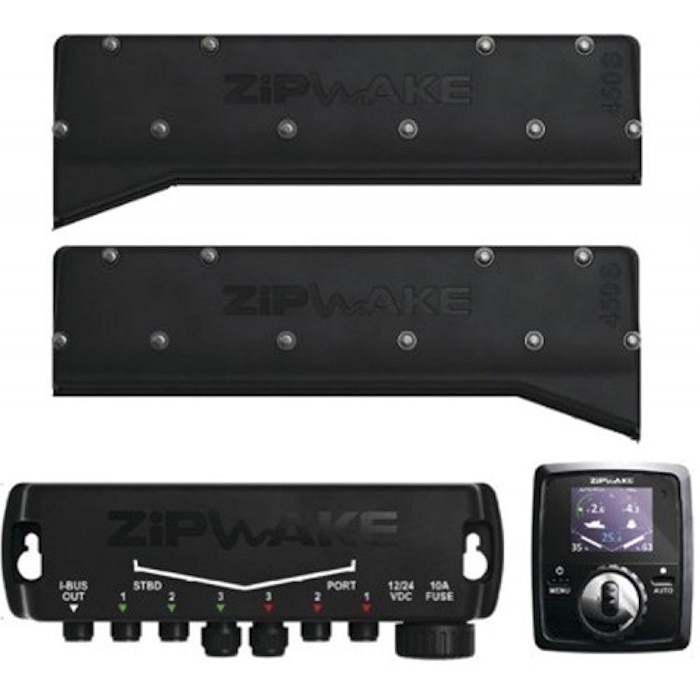 Zipwake Series S Dynamic Trim-Control Complete System Kit (Available with Straight or Chine Interceptors) incorporates a state of the art series of durable, fast-acting interceptors, eliminating the well-known trim problems of planing and semi-planing boats between 20-60 feet. The system is fully automatic and significantly enhances performance, fuel economy, comfort and safety when accelerating, turning or running in a seaway. 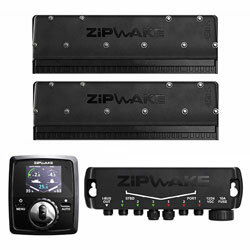 Zipwake Series S Chine Interceptors provide a unique means of maximizing pitch and roll motion control by utilizing the furthest outboard surfaces of the hull bottom for lift generation. As a rule, the lift effect of a chine interceptors matches the lift of a straight interceptor one size larger mounted inboard of the chine, making them the go-to choice when selecting interceptors. Note: Chine Interceptors are sold as Port or Starboard and mounted as such. Up to two extra pairs of Series S Interceptors (Sold Separately) to any base installation , thus allowing a total of six interceptors without any need for additional connectors or power supply. Trim systems have come a long way and it is important for customers to make sure they are getting the correct system for that application. A good starting point would be a minimum of 30% coverage of the transom. The more additional coverage over this, the better the system will perform. 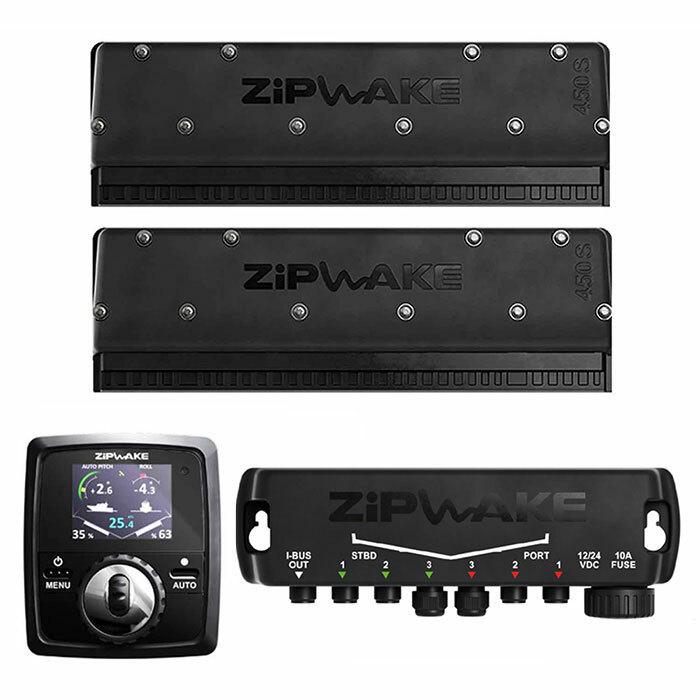 Zipwake advises putting the interceptors as far outboard as possible, as this is where they are most effective for roll control.